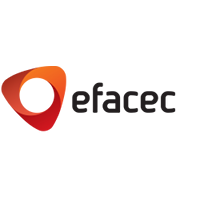 EFACEC Energia has a long list of references all over the world. The clients with systems and solutions that are operational at the moment range 65 countries. Expertise and Role in CONCORDIA: EFA is participating in the Transport E-Mobility specific pilot. With a strong background in energy management operations (e.g. transmission, distribution, power systems automation) across various sectors (including the transportation sector) will contribute necessary components required to execute the Transport pilot and explore its security aspects.